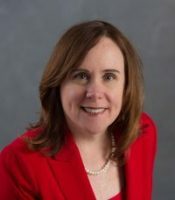 ATLANTA – Renée Brooker and Eva Gunasekera, former attorneys in senior positions with the United States Department of Justice, have joined the Atlanta-based law firm of Finch McCranie LLP (www.finchmccranie.com) as Counsel, according to Finch McCranie LLP Partner Richard Hendrix. The two will be based in Washington, D.C., where they will join the firm’s practice in monitorships and compliance-related services to businesses. Both attorneys join Finch McCranie LLP colleagues on a team that is assisting Larry Thompson, also counsel at Finch McCranie LLP, who has been named Independent Corporate Compliance Monitor and Auditor for Volkswagen AG during its three year term of probation. They will also enhance the firm’s whistleblower practice. Brooker spent nearly two decades in the Civil Division of the Justice Department in a senior leadership position. She had direct oversight for investigations, litigation, settlements, mediations and trials involving the healthcare, pharmaceutical, defense, financial services, cigarette manufacturer and higher education industries. She received numerous awards from the Justice Department for sizeable recoveries and successes at trial, and was architect of the financial fraud cases under President Obama’s Financial Fraud Enforcement Task Force. Brooker was also a lead counsel in both the drug pricing fraud litigation involving the pharmaceutical industry and the nine-month civil RICO trial against the tobacco industry for misleading the American public for decades about the health effects of smoking. 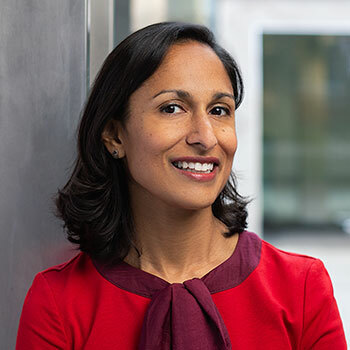 Gunasekera spent nearly nine years at the Justice Department, where she chaired the Civil Division’s healthcare fraud practice as Senior Counsel. She had significant responsibility for investigating, litigating and resolving cases involving the alleged fraudulent practices of pharmaceutical manufacturers, healthcare providers, durable equipment manufacturers, physician groups, managed care providers, pharmacies, hospice and nursing home providers, government suppliers and defense contractors. Many of her cases involved parallel criminal proceedings. In 2015, Gunasekera was a lead counsel in the most complex False Claims Act trial in recent history. Prior to working for the Justice Department, Gunasekera worked in private practice at two international law firms, handling complex commercial litigation and administrative trials. She played a significant role on the team that represented the Enron Creditors Recovery Corp. in the bankruptcy proceeding, successfully returning billions of dollars to creditors in the wake of the Enron scandal. Both she and Brooker are graduates of the Georgetown University Law Center.